Drowsy Driving: Myths vs. Reality. Myth: Coffee can overcome drowsiness while driving. Reality: Although caffeine may make you feel more alert, only sleep can truly overcome drowsiness. People who take stimulants while severely sleep deprived are likely to have “micro sleeps,” which are essentially four- to five-second naps. A vehicle travelling 55 mph can cover more than 100 yards in four to five seconds – plenty of time for an accident. 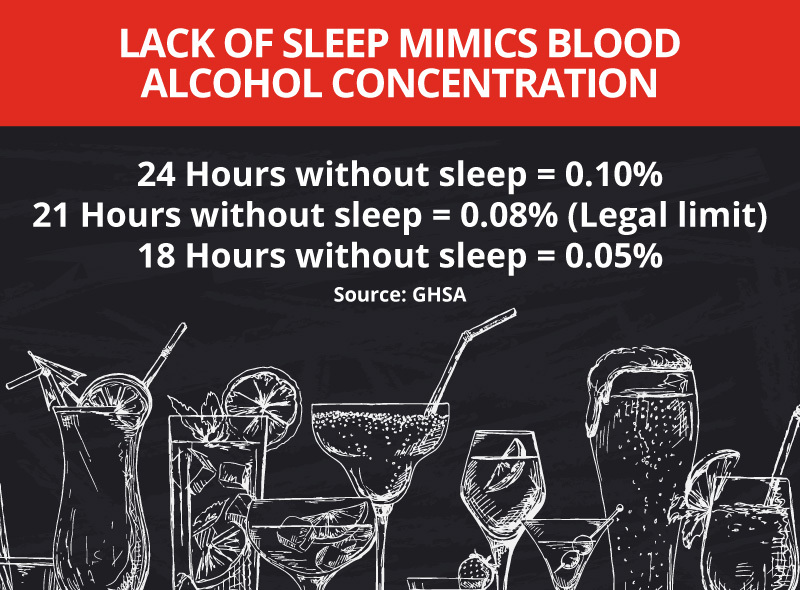 Myth: I’m a safe driver so it doesn’t matter if I’m sleepy. Reality: The only safe driver is an alert one. When sleepy, even the best drivers become confused and use poor judgment. Myth: I can’t take naps. Reality: Even if you think you can’t nap, pull over and recline for 15 minutes – it is likely you will be able to fall asleep. Always be sure to do so safely, in busy areas with your car doors locked. Myth: I can tell when I am going to fall asleep. Reality: While most people feel they can control and predict when they are about to fall asleep, they cannot. Often, when a person is drowsy they can fall asleep without even being aware of it. 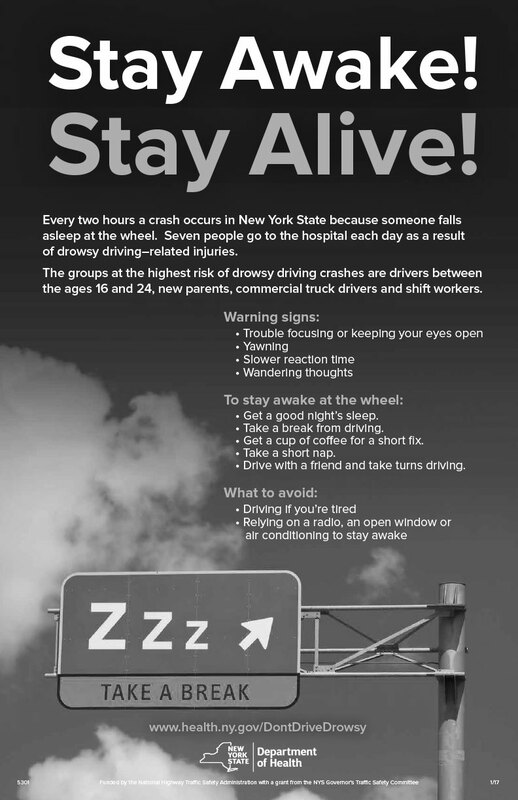 Download the New York State’s Partnership Against Drowsy Driving Stay Awake! Stay Alive sheet: Click here.